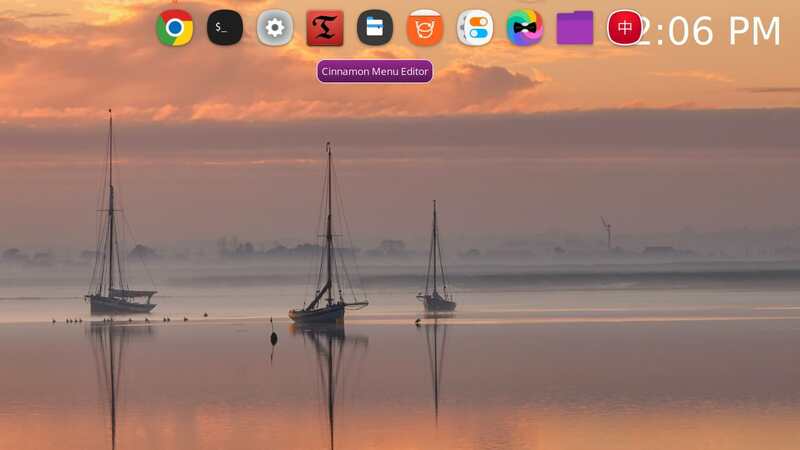 I am looking for a dock for Cinnamon 18.3. Any suggestions? Last edited by Ozo on Sat Mar 03, 2018 8:29 pm, edited 1 time in total. 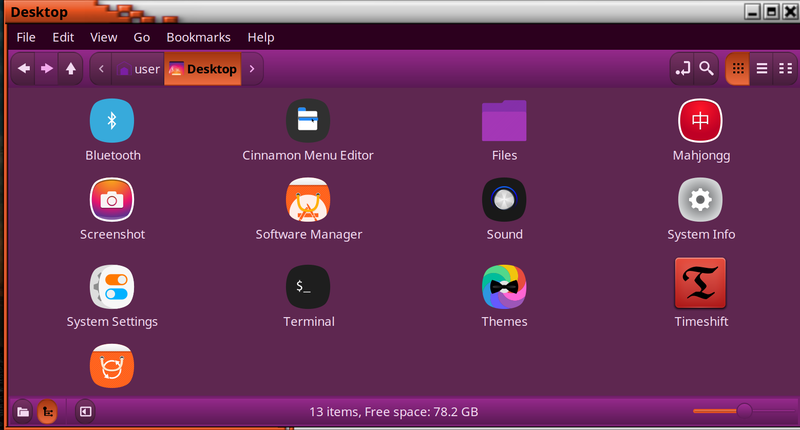 Re: Is There A Cinnamon 18.3 Dock? Do you actually have one of these operating correctly in Cinnamon 18.3? I was making some headway configuring the Cairo Dock but now am at an impasse. I can not seem to get it to launch. Thanks for the reply. Now I know it is not a waste of time looking for a solution. Here's a successful run. You'll notice it throws a bunch of warnings but this isn't a problem. (plank --preferences). I had 15 links on top but changed to 10 which works a bit better because it is more narrow and so is less likely to conflict with the window corners. The dock does not span the entire screen when fewer icons are on it. It is on auto hide. When the dock is hidden on top it is set to hide slowly and open with a slight delay.I prefer the transparent dock. Thanks for the help Mintbean. EDIT: I tried Docky but I could not configure it easily. Plank is perfect. Last edited by Ozo on Sun Mar 04, 2018 8:35 pm, edited 13 times in total. The settings are accessed with a terminal entry (plank --preferences). Ctrl+right-click on the plank works for me. EDIT May 20, 2018: Now it only takes a right click. EDIT June 10,2018. It is a right click when over a open spot which is large when the dock spans the bottom. But over the launcher icons it is CTRL/R-Click. Last edited by Ozo on Sun Jun 10, 2018 9:27 pm, edited 2 times in total. 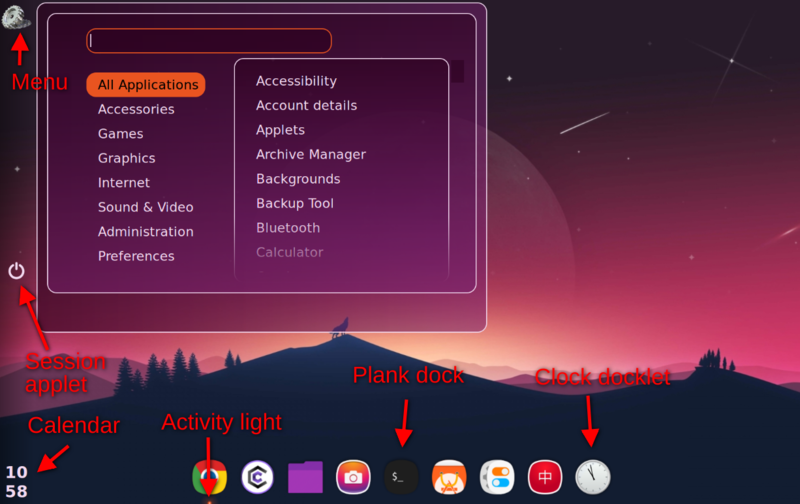 Re: [SOLVED] Is There A Cinnamon 18.3 Dock? 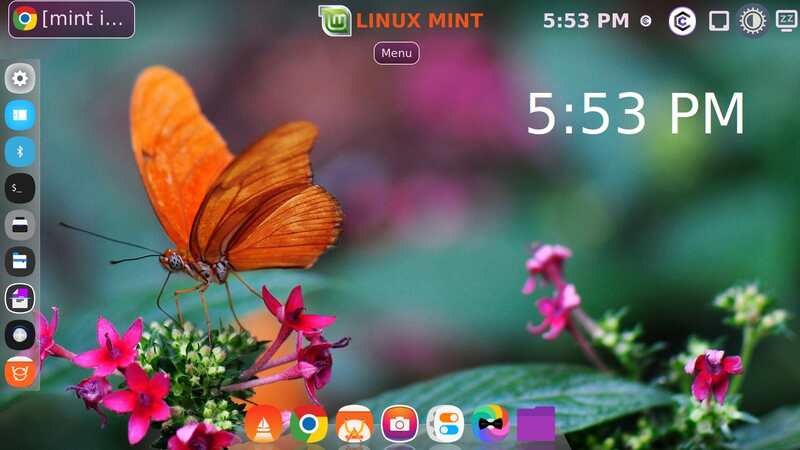 I know this is solved, but this is Cairo-Dock using the Alu theme running under Mint 18.2 Cinnamon. Yup, that is the one that I can not launch. I am now using Docky on the bottom, 2d Docky on the left and the panel on top. Currently I have just 7 icons on the bottom and 9 of the lesser used on the left. This is working out real well this way. The next time I load a new system I will give Cairo another try. EDIT: I did and it works. One thing about Plank and Docky is that they display an icon of active apps. and a right click on one will give an option to "Pin to Dock". I am enjoying the experience. Last edited by Ozo on Thu Mar 08, 2018 6:55 pm, edited 5 times in total. I see that OpenGL is running so that's working. I'm running this on an iMac 9.1 and have no problems. It's also running on a Dell Latitude E6400 laptop and a home built PC as well. All with Mint 18.x Cinnamon. Can you give us a look at your system? Enter the following command at a terminal: inxi -Fxz. If you type, the F is a capital. Post it back here between Code tags - (</>). Last edited by Moem on Wed May 09, 2018 9:57 am, edited 1 time in total. Reason: Swapped the [c] tags out for [code] tags; the code tags retain some formatting that makes your output easier to read. Too bad there is no way to toggle desktop icons with a single click instead of five. No dock required. I just got a computer back from factory support and loaded the three components of Cairo dock and it loaded without a hitch. It is an identical system to the one above. Loaded Alu. EDIT: Desktop Dock. There is a simple way to toggle the desktop. It is a file so minimize the desktop file and when opened any icons you have there will appear with one click. click the panel icon again and it is minimized. 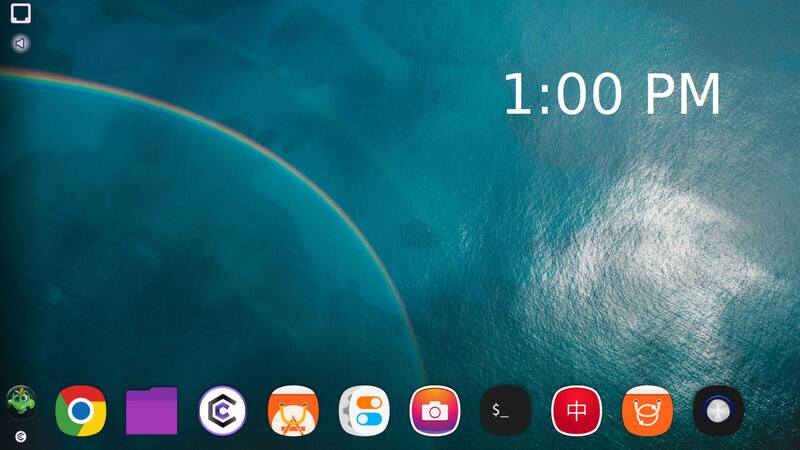 Unlike the actual desktop you can not drag icons to the dock however. 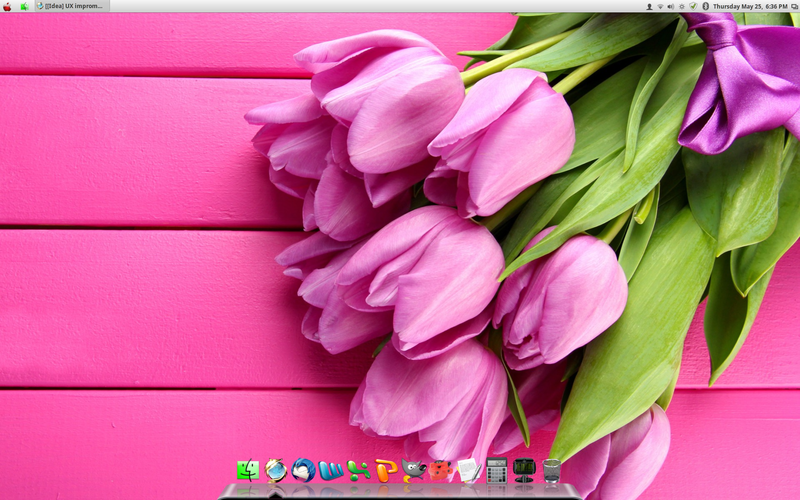 This is my desktop with dock (Plank) on the bottom and Panel on the left. notice that there is no calendar on the striped down panel. I am using the calendar extension on my browser. The wallpaper is from 18.3 Sylvia's slideshow. The icons are wildfire. The Menu button is the funny little icon lower left. Of course these are set to auto hide. The icons are sized so large because this is on a 40" monitor about 12' away from my lounge. The panel is at its maximum size and I am in Double Scale too. There are myriad ways to do this but I think I am close enough to what I wanted to settle on this. From my rather limited experience Cairo-dock is a lot more customisable but tends to crash /freeze / become unresponsive more. I've gone back to using Plank. Yes Plank is an excellent dock. It is especially nice when used in conjunction with workspaces. When the dock is on the bottom it works well. 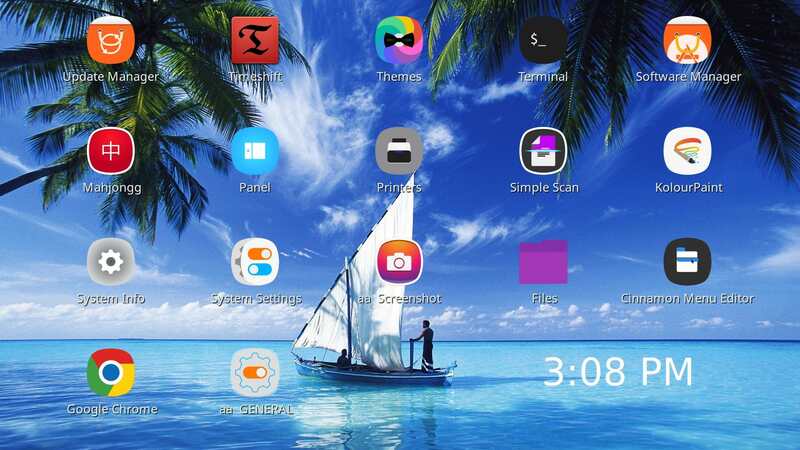 When a dock launcher is clicked the program pops up and another click minimizes it. Plank has indicator lights below each launcher to indicate that it is active. I have changed my set up many times but the most recent configuration has remained unchanged for a while and it seems pretty much fixed. That is Plank on the bottom and a stripped down panel on the left. There is no Windows List applet so there is not much need to open the panel except to shutdown/restart and to look at the calendar. Even the Menu is stripped down but functional. The icons and the menu are large due to Double Scale so I can see them well on my big screen from my lounge. The panel and dock are automatically hidden of course. 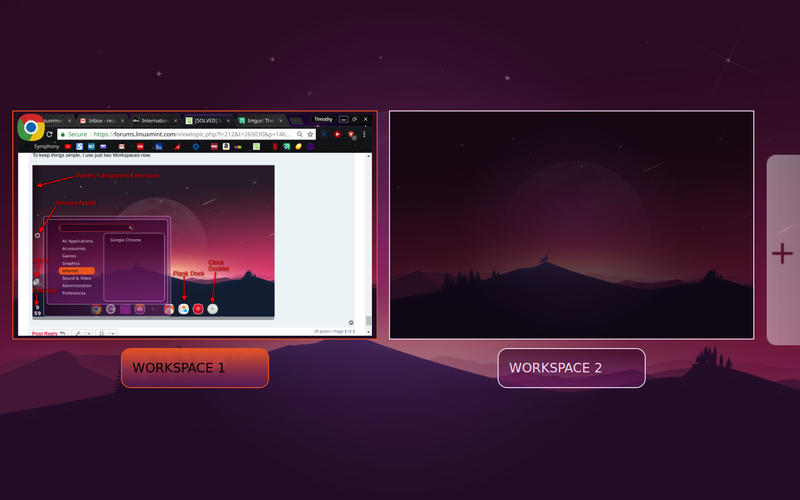 To keep things simple, I use just two Workspaces now. EDIT: The session applet makes more sense at the bottom of the panel as Shutdown is the last option on the session list. That puts shutdown right next to the applet so is quicker.